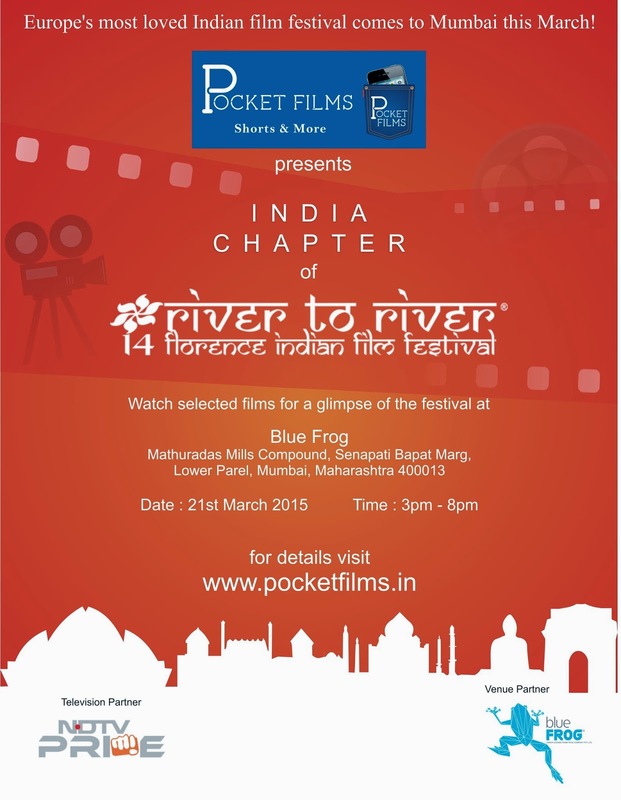 The River to River Indian Film Festival has been delighting Italian moviegoers for 14 years. It was yesterday at the Blue Frog Mumbai that its India Chapter came to life through the screening of a brief anthology of the festival's winners in the category of documentary film. The event kicked off with a trio of short films who won the Advantage India award, granted by the jury of partnering film distributor Pocket Films. Film maker, Samvida Nanda, was present to receive the 1st Advantage India Prize for her short film The Frame and actor Krishna Wadia responded to a brief Q&A session on 3rd prize winner, Rani, by Manish Sharma, a film that was also awarded at the London Indian Film Festival. There was quite a bit of talk about bringing together legendary pair Shah Rukh Khan and Kajol together once more and this piece of good news has been confirmed today. Director Rohit Shetty's Dilwale will star the iconic jodi along fresh talents Varun Dhawan (Main Tera Hero, Badlapur)and Kriti Sanon (Heropanti). The shoot will start in a couple of days but only with Dhawan and Kriti Sanon. Dilwale will be co-produced by Rohit Shetty, who celebrates his birthday today, and Red Chillies Entertainment. It has been described as a family friendly film slated for a Christmas 2015 release. AIB: To Roast or Not to Roast? 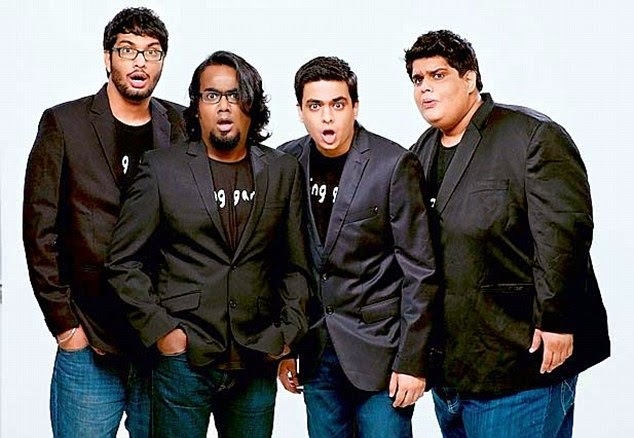 Last December, the All India Bakchod (AIB) troupe of comedians participated in what is known throughout the world as a "roast", meaning a comedy event in which consenting famous people appear and are openly joked about in front of a paying audience. The style of humor that characterizes a roast is adult language and jokes being made about one and the other. The AIB Knockout roast was the first ever to be organized in India and it was hosted by star director and producer Karan Johar. The event starred Arjun Kapoor and Ranveer Singh, and at a lesser degree Alia Bhatt, Deepika Padukone and Sonakshi Sinha, who all took turns being roasted by the panel on stage and heartily laughed at the jokes being made about them. The Hindi Cinema Blog saw its first days in France, created by blogger Aline Cinehindi, and made a special point to cover Indian events taking place in that country. In honor of this, we are pleased to announce that Amitosh Nagpal's and Atul Kumar's Piya Behrupiya will be shown in the South of France this February, most precisely in the coastal city of Nice. Piya Behrupiya is a musical adaptation in Hindi of William Shakespeare's Twelfth Night. It will feature a talented cast including: Gitanjali Kulkarni, Mansi Multani, Neha Saraf, Sagar Deshmukh, Trupti Khamkar, Gagan Riar, Mantra Mugdha and Saurabh Nayyar. If you happen to be in France, do not miss this wonderful opportunity to attend a one of a kind adaptation of a Shakespearian classic. Indian film star Priyanka Chopra has signed a one year talent development contract with USA nationwide television network ABC. This comes as a welcome step forward for the singer-actress, who has more than 45 films to her credit in India, 3 international singles and has recently lent her voice to the animated film Planes. SHANKAR EHSAAN LOY rock America!